" fits like a glove, I didn't realize just how bad my old mask had gotten till I put on the new one. " 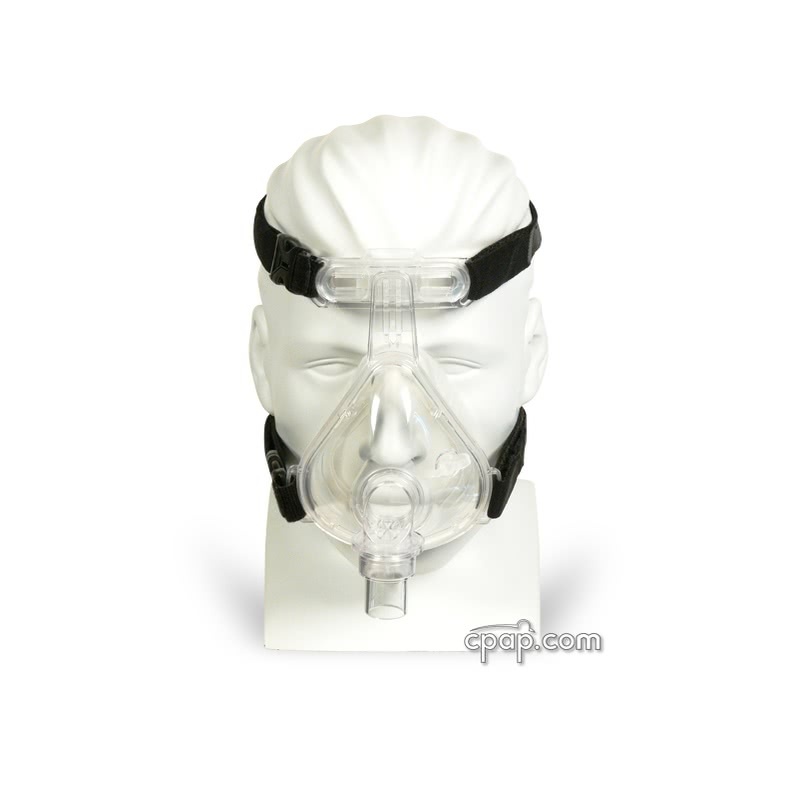 The Full Advantage Full Face CPAP Mask with 4 Point Headgear by CareFushion has a triple seal to help adapt to various facial features and contours. The layers fill with air to seal against the skin and reduce leaks. The Advantage Series patented Triple Seal incorporates 3 sealing surfaces on the cushion interior to adapt to facial features and facial hair for a flexible fit and secure seal. 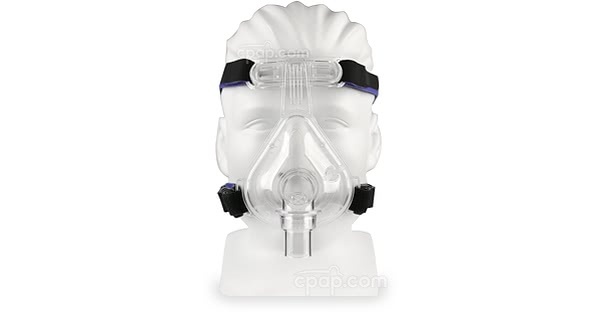 This "mask within a mask" design allows for a secure seal even when the CPAP user?s mouth opens wider than anticipated. 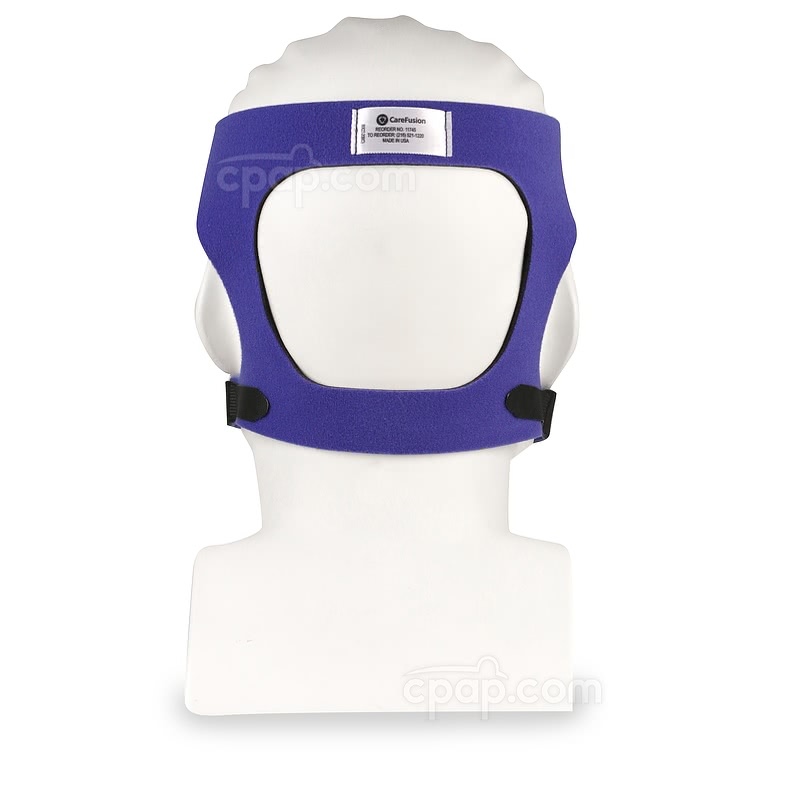 This model comes with a 4-point headgear, but can accommodate a 5 point system. Ribbed Supports built into the sides of the cushion protect against leaks under the eye area even at very high pressures (>20 cm H20). 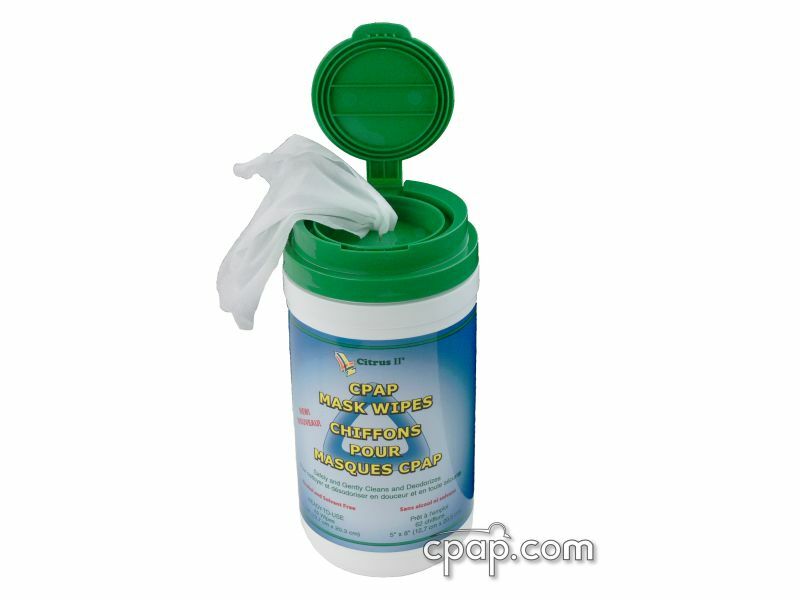 They also prevent the mask from over expanding, while the triple seal cushion provides a comfortable, floating seal. Flex Bubble minimizes pressure on the bridge of the nose. Cushion is able to flex from side to side whenever the mask hits a pillow, arm or other obstacle. Keeps the seal intact for even the most restless of sleepers. 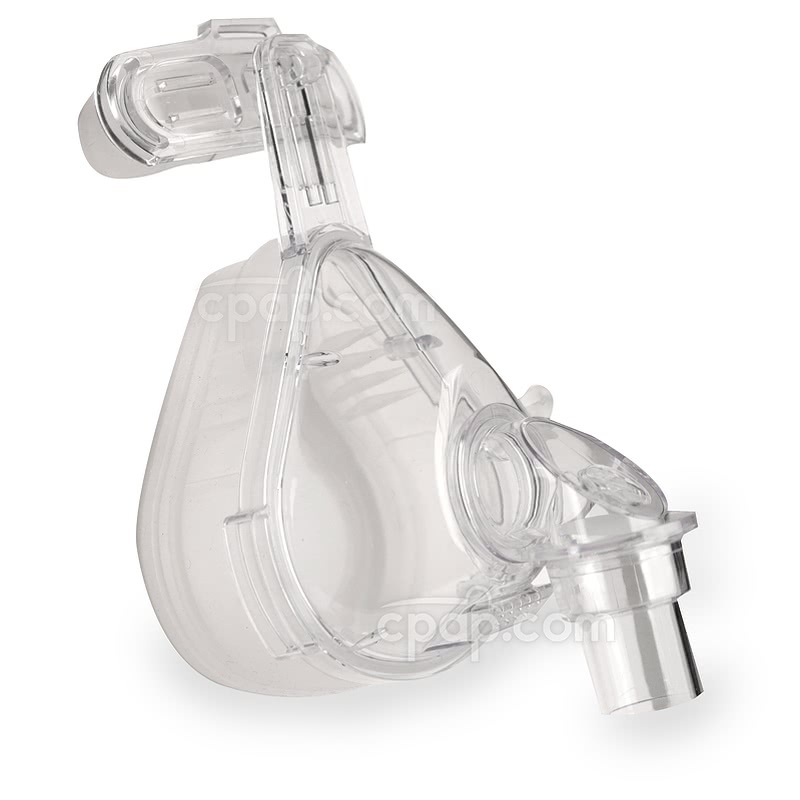 DSIQ Exhalation Port built into the frame has multiple openings to quietly diffuse exhalation between the CPAP user and bed partner. Extremely quiet, even at pressures above 14 cm H20. 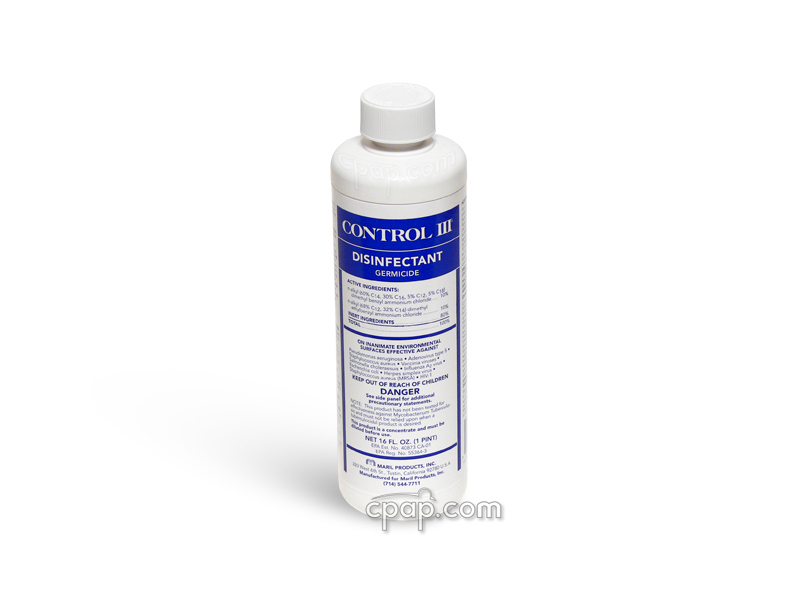 Built-in Safety Valve in case of extreme pressure drop. 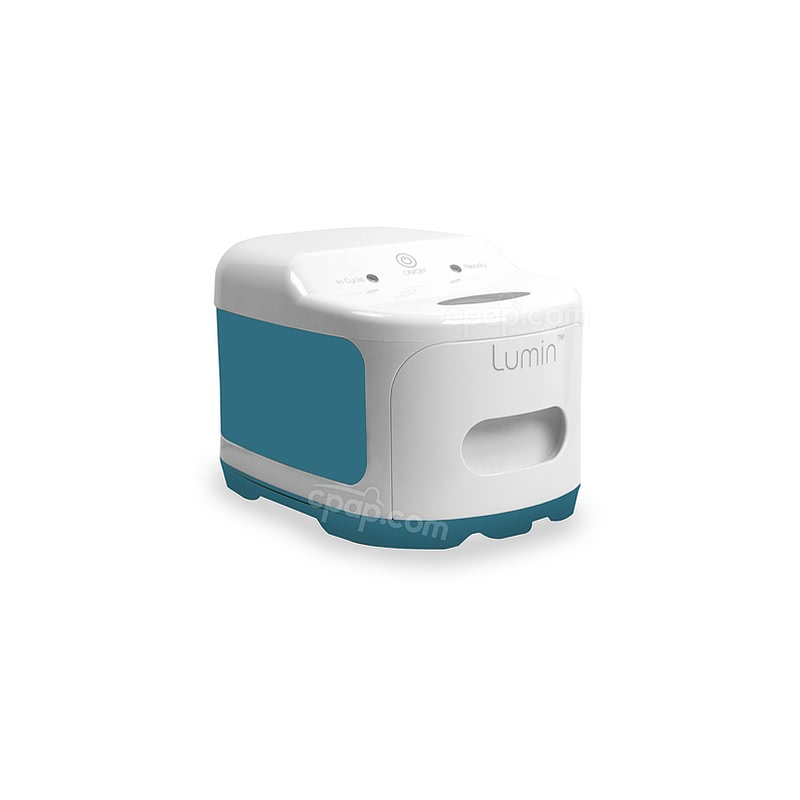 The cushion and mask frame are connected and act as one unit. 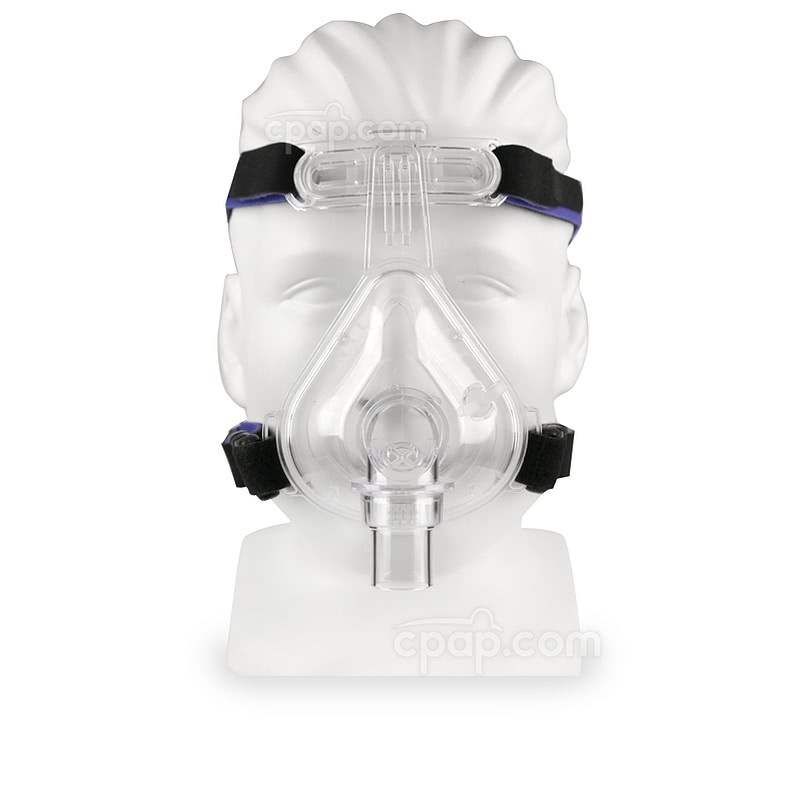 The cushion is not replaceable on the Full Advantage Full Face CPAP Mask with 4 Point Headgear. To find the size of the unit, locate the clear letter set between the ridges at the base of the headgear bar. The embossed letter represents the size of the mask frame and full face cushion.